Germany's biggest lender Deutsche Bank on Friday admitted to a massive erroneous transfer of 28 billion euros ($34 billion) in a routine operation, more than the entire bank is worth. 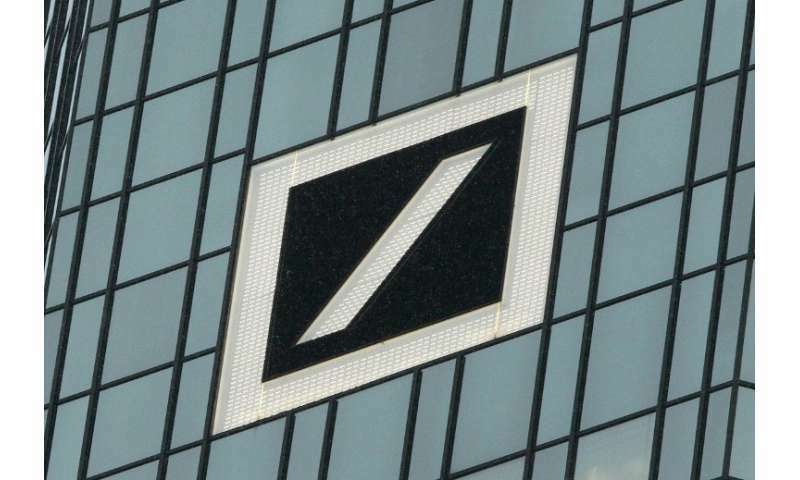 The unprecedented mistake happened on March 16 when Deutsche Bank carried out a transfer to an account at Deutsche Boerse's Eurex clearing house, a spokesman told AFP. Accounting errors happen most days, but the sum involved in this case is highly unusual and even exceeds Deutsche's market capitalisation of 24 billion euros. Given sole command of the lender in 2016 after the departure of co-CEO Juergen Fitschen, Cryan's task was to restructure Deutsche and clean up the toxic legacy of its pre-financial crisis bid to compete with global investment banking giants. But Deutsche has yet to return to profitability, while the share price has slumped more than 50 percent in the past two years—around 30 percent this year alone. In a sign of the bank's ongoing internal tussles, Deutsche on Wednesday announced the departure of its IT and infrastructure chief Kim Hammonds, who had reportedly called the bank the "most dysfunctional company" that she had worked for.